I like this hat because it remindes me of a man who not only gave his life in the war, but was brave enough to fight the system he was serving in. 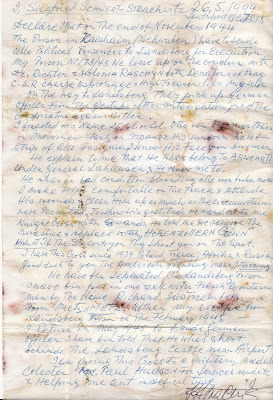 The full story is on the paper that Count Ziggty (thats what I called him) gave me with the medal. 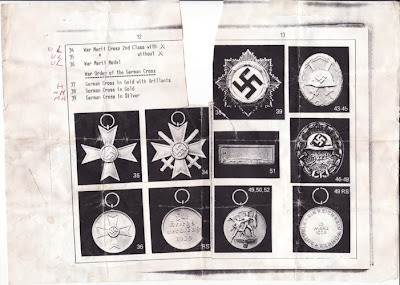 He sold me allot of his war medals (some from De Gall, and the guy was a piece of art) when I was a pawnbroker and I am not proud of the fact that I was only interested in the profit. Though after a year of listening to his war stories and life time in many military campaigns, we became friends and he eventually sold me the medal and I kept it. I cant sell it and to tell the truth it should go to the solders family. 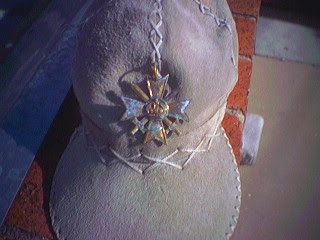 He was a German who was part of the resistance and the SS had him killed, he erased the swash sticker and put the Royal crown there instead. The hat I got in Brazil in a little town 2 hours out of Rio, this sweetheart of a mother made it and after 3 weeks of me spoiling them and all the kids ( I was boared and they adopted me for 3 weeks) she gave it to me as I left. So if you see me with it don't be upset that I am a Nazi, don't Judge by outward appearance but look at the facts first then throw stones....OUCH!